The Westfield W-League is ready to kick-off its tenth season with Melbourne City—the two time reigning league champion—playing away to Perth Glory on Friday October 27 in a repeat of last season’s Grand Final. We preview each team in order of last season’s regular season finish. Seattle Reign goalkeeper Haley Kopmeyer is joining Canberra this season, after playing with the Brisbane Roar in 12 games in 2015/16 with a team that finished fourth and lost in the semifinals 5-4 on penalties to ultimate champions Melbourne City after a 0-0 tie. Kopmeyer played in 20 games with the fifth place Reign this season and recorded 2 shutouts. In front of Kopmeyer will be Orlando Pride defender Toni Pressley, a five year veteran of NWSL who played in Russia in 2012. 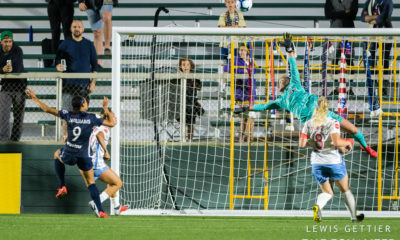 Pressley scored her first NWSL goal this season for the Pride, which won a Goal of the Week honor. Another significant new signing is on the coaching side, as much esteemed former Australian international Heather Garriock takes charge as head coach. Garriock, who finished her Matilda career with 130 games and 20 goals, retired from the W-League Western Sydney Wanderers after the 2013-14. She won a W-League title with Sydney FC in 2009. She also played for Malmo in Sweden, Fortuna Hjorring in Denmark and Chicago Red Stars in WPS. Westfield Matildas scoring star Michelle Heyman is back and has played with the side since season three of the W-League (2010/11), after beginning the previous season with the now defunct Central Coast Mariners. She has 55 goals in her career and is the all-time W-League goal scoring leader. She played for the Western New York Flash after the 2015 Women’s World Cup. Two young local players who impacted Canberra last season should again have significant roles. Nickoletta Flannery (4 goals last season) and Grace Maher (3 goals last season) are both 18 and are projected to have outstanding club and international careers. Perth has made the Grand Final two of the last three seasons and will have forward Sam Kerr back from a tremendous summer with Sky Blue FC, where she set a NWSL record for 17 goals in a season and is the league’s all-time goal scoring leader. Kerr had 10 goals for Perth last season during the regular season. Australian international midfielder Nicola Bolger, who has been ever-present in the league since year 1, joins from Sydney FC. Bolger has also spent one season with Newcastle Jets (2011/12) and has 17 goals in her W-League career, including two last season. Forward Marianna Tabain returns to Perth after two title winning years with Melbourne City and has 30 career goals. Mexican/American defender Arianna Romero (ex-Houston Dash) will not be back this season as she recently tore her ACL playing in Norway with Alvadsnes, but Costa Rican midfielder and 2016 NWSL Rookie of the year Raquel “Rocky” Rodriguez comes on loan from Sky Blue FC. She holds the record for the fastest goal in NWSL history after just 24 seconds and was a catalyst for her side who debuted at the 2015 Women’s World Cup in Canada. Another NWSL player who will provide support to Sam Kerr upfront is Rachel Hill, who as a rookie had 3 goals and 1 assist in 14 matches for the Orlando Pride. Boston Breakers defender Amanda Frisbie also joins the Glory, after logging one assist in 12 games this past summer. Sky Blue FC’s Nikki Stanton returns to the Glory for her third season in defense. Sydney FC has been the most consistent side in W-League history, never missing the playoffs in 9 seasons. Sydney FC used balanced scoring from Australian U-20 youth international and rising star at 17 years old Remy Siemsen (6 goals), who won the league young player of the year award, 2011 and 2015 Women’s World Cup veteran Kyah Simon (4 goals) and Leena Khamis (3 goals and 38 for her career dating back to year 1 of the W-League) to make the playoffs last season, while a last round loss to Adelaide United away (5-2) cost the Sky Blues their third Premiership title (after 2009/10 and 2010/11). Sydney FC lost 5-1 to Perth Glory in the semifinals. Simon has left for Melbourne City but Siemsen and Khamis return, while Australian international defender Caitlin Cooper leaves cross-town rivals Western Sydney Wanderers, where she won the team Player of the Year award last season. She has played in the W-League every season and spent time at Central Coast Mariners and Canberra United. Another new signing for the Sky Blues is the Matilda’s all-time leading goal scorer and co-captain Lisa De Vanna. The former WPS and NWSL player joined Canberra United late last season and has previously played for Perth, Brisbane, Newcastle and both Melbourne clubs. Australian international defender Tiegen Allen (23) joins Sydney FC after two title winning campaigns with Melbourne City. She played this past season with Valerenga of Norway. She has previously played with both Sydney sides and had a brief stint with the Western New York Flash in 2014. Another 2017 Norwegian player joining the club is Australian international midfielder Chloe Logarzo, who played with 2017-18 UEFA Women’s Champions League side Avaldsnes and previously played in Sweden and in the now defunct USL W-League in 2014 with the Colorado Pride. The 22-year-old played for Sydney FC for four seasons before joining Newcastle for a year and then moving onto Europe. 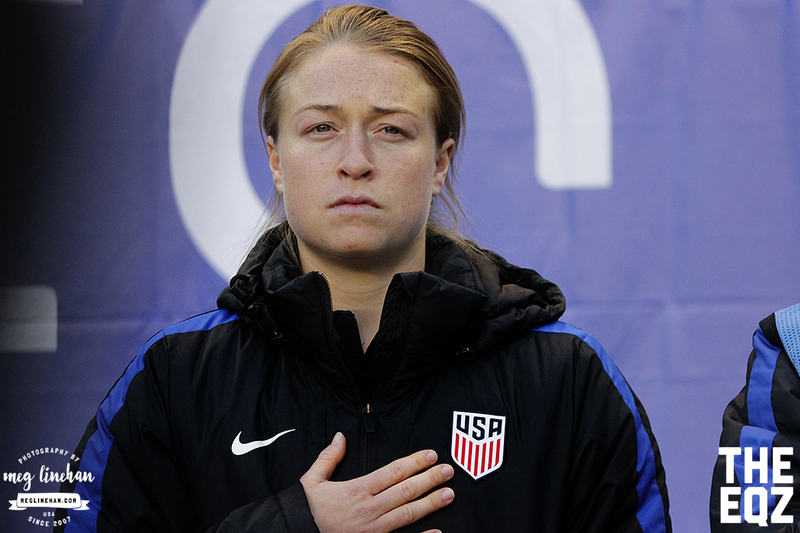 U.S. international defender Emily Sonnett of the NWSL Champions Portland Thorns is joining Sydney FC on loan for the season, which will be her first stint abroad. She should have a significant impact on defense with Sydney FC, as she was a strong component of the NWSL’s best defense in 2017 (20 goals surrendered in 24 regular season games). Melbourne City struggled some last season—going six games without a win mid-season—before streaking through the playoffs for their second consecutive league crown, after only two seasons in existence. This season, City aims to be the first W-League side to win three titles, which Brisbane, Canberra and Sydney FC also have a chance to accomplish. Jess Fishlock of Wales, who scored 8 goals last season in Melbourne and 7 in the recently completed NWSL season in Seattle and was the interim head coach at the end of the season as player coach, returns this season only as a player. This season City will be coached by former Hearts, Leicester City and Leeds United defender Patrick Kisnorbo, who ended his career in 2016 with Melbourne City. Four of Fishlock’s teammates in Seattle will play with City; Australian international goalkeeper Lydia Williams, New Zealand international Rebekah Stott, American youth international defender Lauren Barnes—who played last year for City and after two seasons with the Victory—and Australian international striker Larissa Crummer—who won the W-League Golden Boot award with 11 goals in the 2015/16 season but missed most of the season in Seattle recovering from an injury, playing only 47 minutes across 4 matches with one goal. Australian international winger Steph Catley, who has spent the past three seasons in the NWSL with Portland and Orlando, is back for her third year with City. Australian international pool midfielder/defender Aivi Luik is also back for her third season. Luik has played in Australia, Canada, U.S., Ukraine, England (at now defunct Notts County) and this season with Alvadsnes in Norway. An important new signing for Melbourne City this season is Matilda forward Kyah Simon. Simon was with the Matildas for their a second-straight World Cup quarterfinal berth at the 2015 FIFA Women’s World Cup, scoring three times in Canada including the only goal in a landmark 1-0 win over Brazil in the knockout stages. Kyah has played in the league since the first season with New South Wales side Central Coast Mariners (now defunct) and then with Sydney FC primarily but did spend the 2013/14 season with Western Sydney Wanderers. Simon has 38 W-League goals all time, fourth highest in league history. Simon has won two Westfield W-League championships with Sydney FC and also played for the Boston Breakers in the NWSL. Another new forward joining City is 25-year-old Rhali Dobson, who has played 55 games for the Newcastle Jets and played in the inaugural season of the competition in 2008/09. New signing Sofia Sakalis is only 15 years-of-age but is considered to be one of the most exciting young midfielders in the country, with a strong tournament at the recent AFC U-16 Women’s Championships in Thailand. Sakalis is another example of young Australians receiving important experience in the W-League, playing with established national team players from Australia and elsewhere for their development, though the lack of age group leagues at the provincial or national level is a drawback and necessitates them joining the national league teams at a much earlier age than we would typically see in the States. Head Coach Craig Deans’ won the W-League Coach of the Year title for the 2015/16 season and his side finished fifth in the last two seasons. The Jets’ only final four appearance was in their initial season of 2008/09. Defender Gema Simon is expected to return and has been with the Jets for every season they have been in the league, except for 2014/15 when she played for Victory. She spent the season in Norway with Alvadsnes after a short stint with Suwon in the Korea Republic. Defender Hannah Brewer (24) returns to Newcastle where she had 46 appearances for the club from 2008/09 to 2013/14 but then played with the two Melbourne clubs and Canberra United. She was with the Seattle Sounders Women in the W-League in 2013 in her only stint abroad. Australian international midfielder Emily Van Egmond has signed a two year contract, returning to the Jets after playing in Germany. She played in Seattle and then Chicago during the first two seasons of NWSL, with 2 goals and 2 assists in 16 games in total. Katie Stengel, who scored six goals for Western Sydney last season and finished as their leading scorer, has signed this season for the Jets. She played 5 games for the Washington Spirit in the NWSL before being released and was signed by Boston Breakers, where she appeared in two games and had one assist. Stengel’s Spirit teammate Tori Huster, a five year veteran of the NWSL, is also joining the Jets on loan for the 2017/18 season. Huster appeared in 12 games with the Jets during the 2012/2013 season, scoring four goals. After playing four games for Western Sydney Wanderers in the 2013/2014 campaign, she re-joined Newcastle in September 2014, scoring three goals in 12 games. Adelaide signed defender Jenn McCormick, a native of the South Australian capital city, who joins from Canberra United and played with Stjarnan in Iceland in 2016 and Medkila in Norway this season. She played 26 times with the Reds from 2012 through 2015. She also played in the first season of the new Women’s Australian Football League this past spring for the Adelaide Crows, one of a few W-League players to cross football codes. Defender Emma Checker, a Matilda defender, is another former Red who also is joining from Canberra. Checker (21) played this past off-season with Incheon Hyundai Steel Red Angels, in the Women’s League of Korea. Alex Chidiac (18) is an Australian youth international who won a league title in 2015/16 with Melbourne City. Chicago Red Star’s Sofia Huerta is not returning this season, as head coach Rory Dames explained just prior to the NWSL playoffs. Huerta scored 8 goals for the Reds last season, but now that she has been allowed to play for the U.S. national team after previously playing for Mexico, she will spend the off-season in head coach Jill Ellis’ national team camps, and that is really difficult to do if she is playing in Australia with the long travel times. Dames did feel that her strong season in Chicago (6 goals and 4 assists in 2017) was due in part to her time in Australia last season: “Sofia had a ton of growth, going to Australia in the off-season, being in a professional environment for 10 out of 12 months, being half way around the world from her family and loved ones promoted a ton of growth from her. I also think while she was down there, because her team in Australia was so young, she had to take such a big leadership role, she grew in confidence by leaps and bounds.” Dames also said that she has been playing for almost 20 months year round and needed a break and felt that she needed a break, but the final decision was U.S. national team coach Jill Ellis’s. 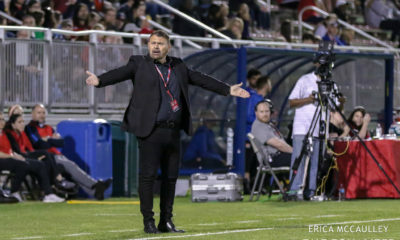 Ivan Karlović, who was appointed head coach in July and has been a coach in the organization for years after playing in the National Soccer League (A-League predecessor), could lead the side to its first ever playoff spot after 10 seasons if he can integrate the newcomers and build the team around the talented Jones. Brisbane missed the playoffs for only the second time in their history (after the 2014/15 season). The Roar has the talent to make the playoffs again. Captain Clare Polkinghorne, who has been with the Roar for every season in the Westfield W-League and became the first player to reach 100 W-League appearances last season, returns. Goalkeeper MacKenzie Arnold and midfielder Amy Chapman midfielder are also back; this is Arnold’s second season with the club after stints with Canberra, Western Sydney and Perth, while Chapman has played with the club since 2010. Katrina Gorry returns from an offseason in Japan with Vegata Sendai. She won an NWSL title with FC Kansas City in her one season in the NWSL. She has 22 goals in her W-League career and was the Asian Football Federation’s Player of the Year in 2014. Hayley Raso (23), who had such a strong season for the Matildas and 2017 league champion Portland Thorns (6 goals and 3 assists in the regular season), has transferred from Canberra United for this season but played for the Roar earlier in her career (2013/14 and 2014/15). She could be a difference maker for Brisbane as they aim for their third W-League title. They also have an intriguing international signing in Hong Kong international forward Wai Ki Cheung (26). Cheung becomes the first player representing the Hong Kong national team to join a W-League roster. Cheung scored her team’s only goal in the second round of the East Asian Football Federation Tournament in November 2016. Hong Kong finished third in the second stage, defeating Guam 1-0 but lost to Chinese Taipei 5-0 before losing to Group A winners Korea Republic 14-0. 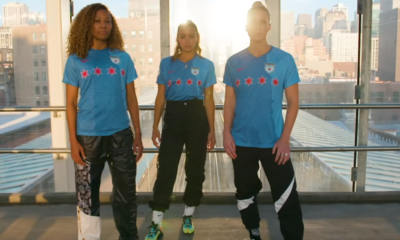 Three American NWSL players are joining the Roar as well this season: midfielder Celeste Boureille of 2017 NWSL Champions Portland Thorns, defender Carson Pickett of the Seattle Reign and midfielder Maddy Evans of the Orlando Pride. Boureille played last season with Canberra while Evans played with Brisbane. Interestingly Evans, a five year veteran of the NWSL, retired from the league late this past summer, citing low pay as a crucial factor in her decision. The Western Sydney Wanderers ended up tying their highest point total from their first season in 2012/13 but are still looking for their first playoff berth ahead of their sixth season in the league. This will be an interesting side to watch as they have gone away from using as many American imports this season, instead bringing in two Dutch and one Israeli from Europe. Typically in the past they have brought in Americans, such as forward Katie Stengel—who had 6 goals last season but signed this season for Newcastle—and former Seattle Reign and now retired defender Kendall Fletcher. Their two experienced Dutch imports are forward Marlous Pieëte and defender Maruschka Waldus. Pieete comes from Ajax and has 48 appearances for her country (though she did not play in the EUROS title winning side this summer, she was selected for the 2013 Finals but suffered an injury before the tournament and couldn’t participate.) This is her first stint abroad. Waldus joins the Red & Black from Icelandic club Fylkir FC after time with Dutch side FC Twente, where she scored in her last two games for the club. The 25-year-old has played in the Netherlands, the United States, Sweden, Germany and Iceland. She played one year at the University of Alabama and briefly for Sky Blue FC before playing in Sweden with Mallbackens and then in Germany with Turbine Potsdam. Israeli forward Lee Falkon (25) has played the last two seasons for MSV Duisburg of Germany, who she helped gain promotion to the top league FrauenBundesliga. Falkon began her career with ASA Tel Aviv University, before moving to Germany with SC Sand and later to Danish giants Brøndby IF, which she helped the side to the Quarter Finals of the UEFA Women’s Champions League. She has played for Israel on 37 occasions, scoring six goals and has won the Israeli Women’s Cup twice, the Israeli Ligat Nashim three times, German FrauenBundesliga Division 2 and Danish Elitdivisionen and Women’s Cup. The Wanderers are bringing in one American this season, midfielder Lo’eau LaBonta, who in her second season in NWSL had 2 goals and 2 assists in 22 games for FC Kansas City. Melbourne Victory finished in last place for the second consecutive season in 2016/17. They won a league title in 2013/14 after losing in the final in 2012/13 to Sydney FC. 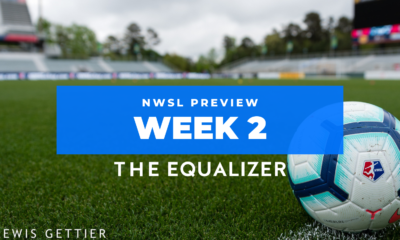 They were exciting to watch last season, led by Boston Breakers loanee and English international Natasha Dowie who had 9 goals, more than half the team total (17). Dowie (29) returns for her third season in a row in Victory’s blue uniform and is only two goals (12) behind Victory’s all-time goals leader, Australian U-17 and U-20 international Caitlin Friend, who has 14. Dowie scored 7 times and had 2 assists in Boston during the 2017 season. Two other NWSL players joining the Victory include Christina Gibbons from FC Kansas City and Kristen McNabb of the Seattle Reign. Gibbons, the former Duke University player was drafted as a defender but had more success last season when she was moved to a defensive midfielder role, recording 1 goal and 3 assists. Gibbons was the number 5 overall selection in January’s NWSL College draft. McNabb played 18 games for Seattle in her rookie season, notching one goal and this is her first time playing abroad for the U.S. youth international and former University of Virginia Cavalier. Matilda defender Laura Alleway is joining Victory on a two-year deal from derby rival Melbourne City, where she won two titles; she also won the league with the Brisbane Roar in 2010/11. She has played 94 games in the league. Alleway (27) previously played with the Victory in the league’s first two seasons in 2008/09 and 2009/10 and appeared in 18 games. She played for Orlando Pride last season but was released by the side in early July after appearing in only two games and losing her starting spot. Melbourne Victory has also re-signed one of their most experienced players, midfielder Gulcan Koca. Koca has made 55 appearances in the Westfield W-League with Victory since 2009/10 and was on the Victory’s lone W-League title winning side in 2013/14. Koca plays internationally for Turkey. Jeff Hopkins returns as head coach. The former Welsh international, who played over 200 games with Fulham in England, coached Brisbane Roar for the first four W-League seasons and won two titles with two runner-up finishes. With Hopkins experience and some strong new talent to go with a vibrant Dowie up top, expect Victory to be in the end-of-season playoff reckoning.